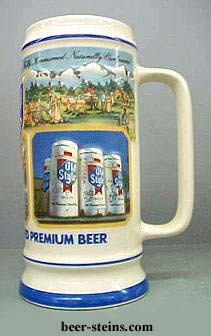 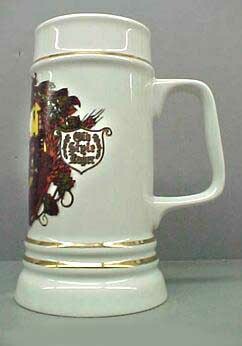 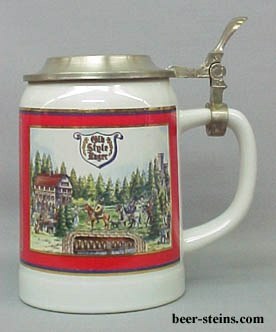 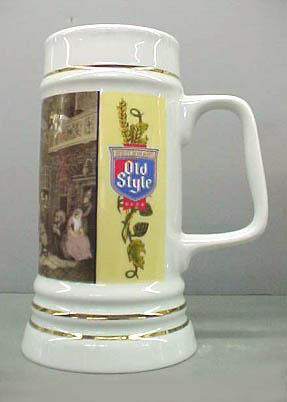 OLDS00 - 2000 Old Style stein. 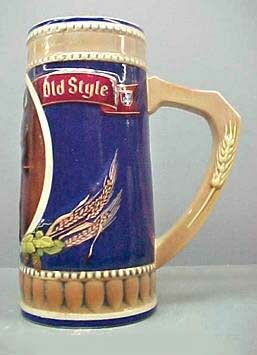 This 7 1/8" was made in Germany. 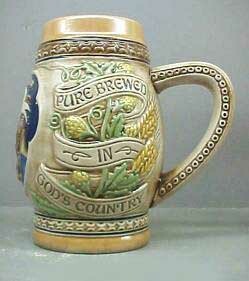 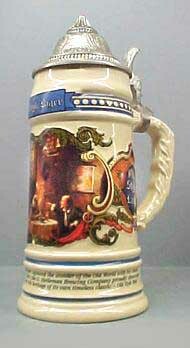 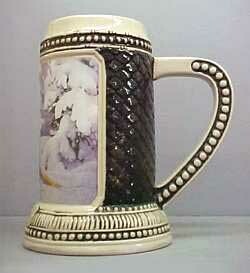 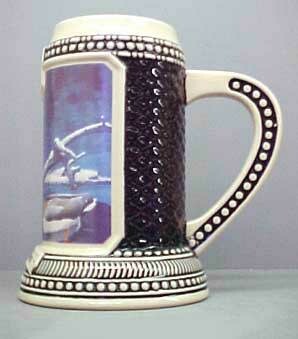 This is the 2nd stein in the "Legacy" series. 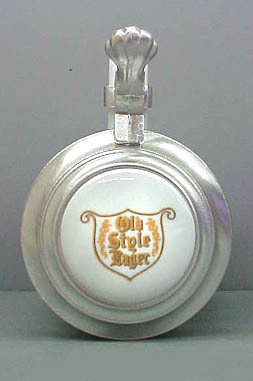 Featured are people watching a worker climb a ladder to hang an Old Style sign in the window. 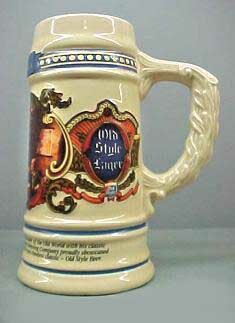 Individually numbered. 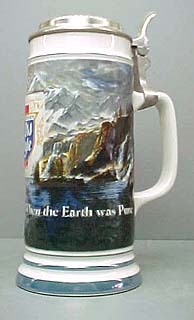 Did not come boxed. 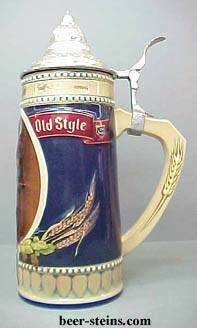 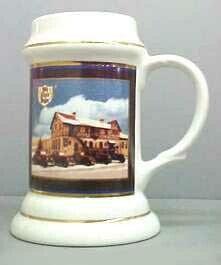 OLDS01 - 2001 Old Style stein. 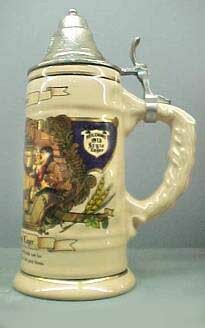 This 7 1/8" was made in Germany. 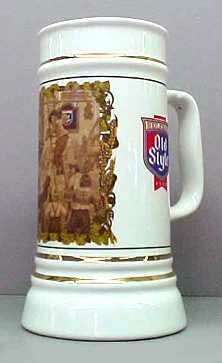 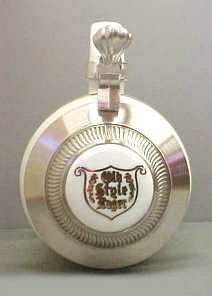 This is the 3rd stein in the "Legacy" series. 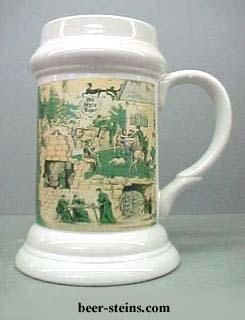 Featured are people outside Ye Old Pub enjoying Old Style. 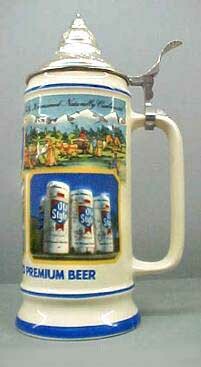 Individually numbered. 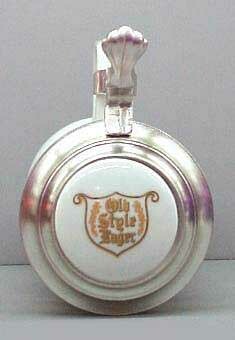 Did not come boxed. 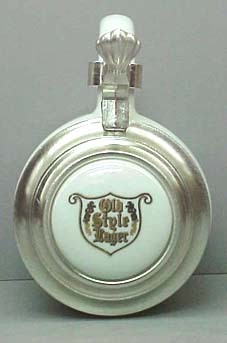 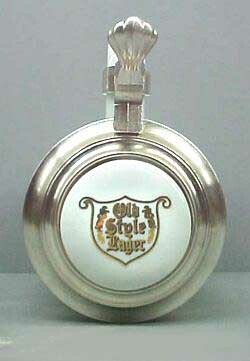 OLDS01L - 2001 Old Style lidded stein. 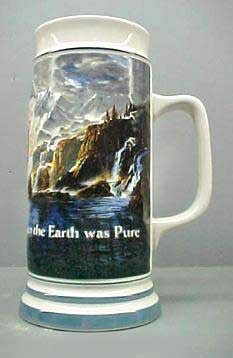 This 8 7/8" lidded stein was made in Germany. 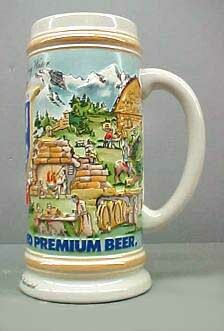 Individually numbered. 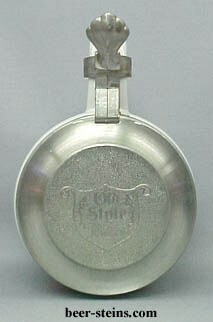 Did not come boxed.